Contact us if you’d like to learn more about current and past projects. West Gippsland CMA – Waterway prioritisation for Regional Waterway Strategy. North Central CMA – Waterway prioritisation for Regional Waterway Strategy. Corner Inlet Water Quality Improvement Plan – INFFER analysis and underpinning bio-economic modelling. INFFER analyses for the Wimmera Catchment Management Authority to assist development of Biodiversity Fund applications. INFFER assessment for conserving woodland birds in the Mount Alexander Shire in central Victoria for Connecting Country. Water quality assessment for the Bow River in Alberta in partnership with the Land Stewardship Centre of Canada. Development of application form and assessment methodology for the Living Victoria Fund – Office of Living Victoria. 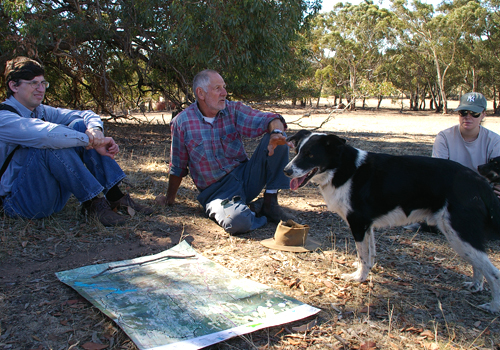 Asset identification and priority setting for the Western Australian Rangelands NRM Plan. Evaluation of landholder adoption in NRM projects is crucial to design and implementation.